Prepared straight from the can. There’s a long-held believe that emergency food, soup included, is bland and is only to be eaten if it’s your last hope for nourishment. You can toss out that belief because Augason Farms soups are flavorful, hearty and nourishing when prepared straight from the can. Jazzed up with more ingredients. Customize your soup to your heart’s content by adding things like freeze-dried cheese, freeze-dried chicken or beef (meat-free if you prefer), and freeze-dried vegetables—corn, peas, broccoli, onions or just about anything you have on hand. Dolloped with dumplings. This is so easy to do with Augason Farm’s Buttermilk Pancake Mix. Just combine 1 cup of prepared Morning Moo’s® Low Fat Milk Alternative with about 2 cups pancake mix and stir until it’s a soft dough. After your soup has been simmering for about 10 minutes, drop dough by the spoonful into soup and cook on medium heat, uncovered, for an additional 10 minutes. Then, cover and reduce heat to low and cook for another 10 minutes. That’s it, it’s super easy! Totally reinvented. Like…turning your chili into a vegetable chili casserole. First, add Augason Farms Vegetable Stew Blend into chili and cook on stovetop, referring to instructions on chili can. Pour about 8 cups of prepared chili into greased baking dish. Next, create a top crust by dropping spoonful’s of dough (prepared the same as dumplings above) on top of chili and spreading evenly. Bake at 425°F for 20 to 30 minutes or until golden brown. You may want to layer-in some cheese between the chili and crust before baking, it would be a yummy addition. Beefed up with beanballs. We’re talking about adding meatless beanballs to your soup. Just form rehydrated Augason Farms Black Bean Burger mix into 1” balls and cook in lightly-oiled skillet over medium heat for about 4 minutes per side. Add beanballs to your favorite soup as is, or crumble for a soup that’s infused with flavor and texture. Let beanballs simmer in soup until heated through. They’re particularly delicious in Creamy Potato Soup, but any soup works great. This month, check out the savings on Augason Farms soups. They’re a versatile way to stay nourished and energized during winter storms and cold temperatures! Macey’s has teamed with Augason Farms to offer emergency food supplies and long term food and storage to our valued customers for good reason. 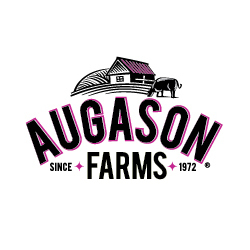 Augason Farms has been in the business since 1972 and guarantee their products for great taste and superior quality. Stocking up on Augason Farms products is ideal not only for your emergency food and water supply but for everyday use as well. With Macey’s and Augason Farms, preparedness is simple and affordable!